Hi all, I'm back today on Day 3 of the NND September release! 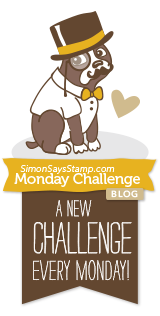 Today I'm sharing 2 cards as we've got 2 stamp/die sets to preview for Friday's release! This first card, I used the new set, "Beautiful Bones" to stamp and die cut these gorgeous sugar skulls. 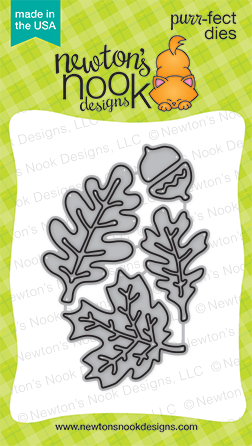 The leaves from the Autumn Leaves die set, (released last month), are inked up with various fall colors. I inked my background using Antique Linen distress ink and did some black ink splatter. I glued all my leaves down and popped up skulls and hearts. I combined these two sets to create my sentiment: Simply Relative and Lovely Blooms. Zig Zag die cut is by Gina Marie Designs. My second card uses this "Spooky Skeletons" stamp/die set. I used Versafine Black Onxy ink to ink up the bats and doggie, then die cut them using the matching dies. I inked up a large moon, clouds and ground, then stamped stars in the sky, my sentiment on the moon and then glued down my skeletons to complete this scene! Grey dots are by Gina Marie Designs. Thank you so much for stopping, keep scrolling down to comment and WIN! 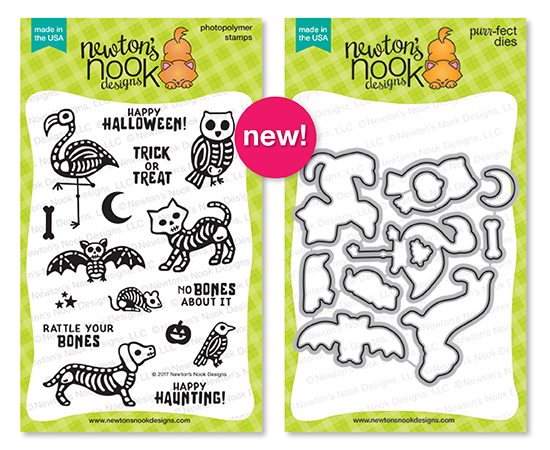 Would you like to win the “Beautiful Bones or Spooky Skeletons” Stamp Set? 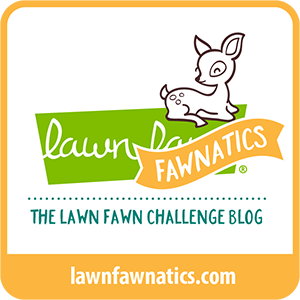 Love your designs and the colors you used! Awesome cards! I really like your choice of colors on the skull card and your inking on the second card looks fantastic. Thanks for the inspiration! 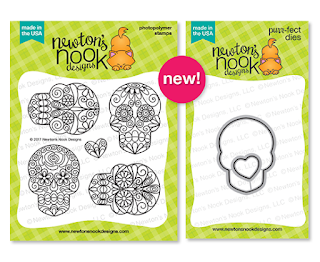 Great cards, love your coloring, great new release from NN! Great cards! Exactly what I need (want)! You did some really impressive shading on these cards! I Love, Love LOVE Halloween and just found these on Instagram! Wonderful card! Skellies are my favorite! both cards are great LOVE the sugar skulls! So nice ! love them! Lovely cards. I especially love the color scheme of the first card (and also love a pretty sugar skull!). Ooooo! I love the way you colored the skulls! very cool - I also love the dimensional look of the sky with the doggy! At first I thought it was all die cuts!!! Great cards, thanks for sharing!! 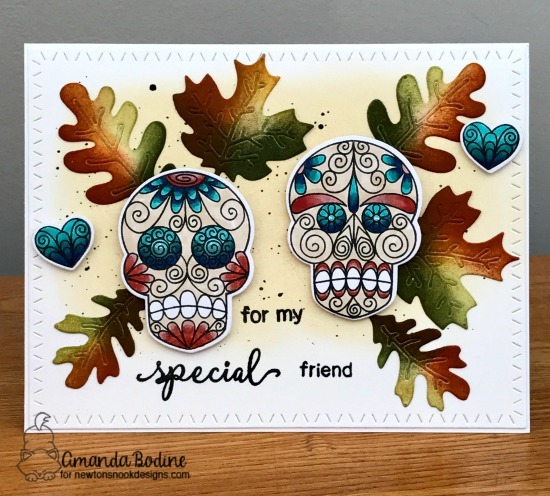 Awesome fall colors on the leaves and sugar skulls! 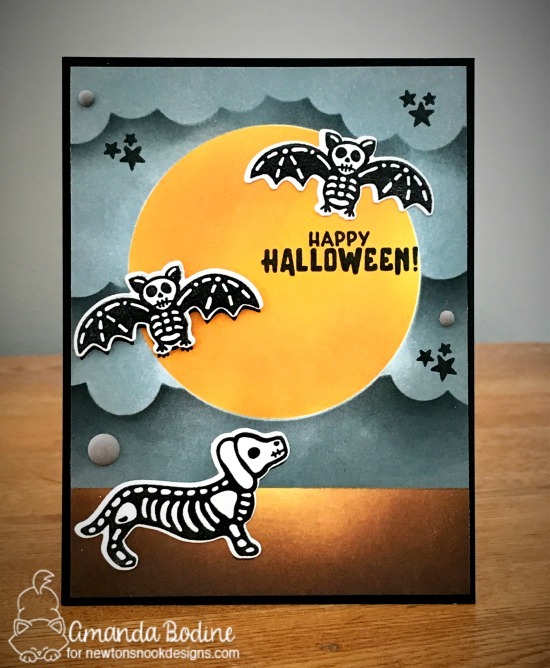 And I love the fun Spooky Skeletons card! Fab designs, your choice of colours is perfect for this season. Love the background scene on your second card! Those skulls are amazing and I love the puppy in the skeleton costume. That dark, scary sky is perfect. I love your dachshund card! 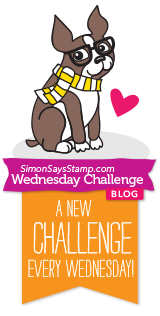 I am a wiener dog mommy and I think this new stamp is just fabulous! Great job on the skeleton card as well! Love the backgrounds that you created!